From delivering messages on foot in ancient Greece to the growth of billion-dollar, multinational courier companies like FedEx and UPS, the courier industry has long been an important part of functional society. 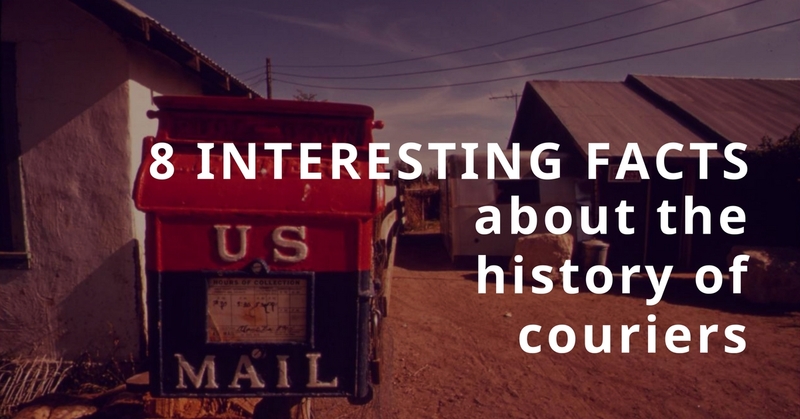 Here are eight interesting facts about the roots of the courier industry. A marathon is 26 miles long because of a courier in ancient Greece. Pheidippides, a courier, ran this distance from Marathon, Greece to Athens to spread the news that the Greeks were victorious over Persia in the Greco-Persian War. Courier services originated in Persia. Around 400 BC, the prince Cyrus the Younger enlisted runners, homing pigeons, and men on horseback to deliver important messages throughout his kingdom and beyond. Horses eventually replaced couriers-on-foot. The Greeks and Romans made courier by horse and chariot the most common delivery method. Being a courier is among one of the earliest professions. Being a courier became a vocation by the Middle Ages, and royal courts paid couriers wages to deliver their parcels. There weren’t any actual courier companies in the U.S. until the mid-1800s. The first package delivery company in the U.S. was established in 1852 by Wells Fargo. By today’s standards, it wasn’t very reliable or timely. The courier industry was transformed by The Pony Express. The Pony Express, a courier service operating in the U.S. at the start of the Civil War and the California Gold Rush, is credited for changing the speed and efficiency of mail delivery in America. Couriers were able to transport packages from the East coast to the West coast in just 10 days, and rode on horseback rather than using stagecoaches. Working for The Pony Express was no joke. Actual employment ad copy said this: Wanted: Young, skinny, wiry fellows not over eighteen. Must be expert riders, willing to risk death daily. Orphans preferred. One of the largest courier companies in the world, the United Parcel Service (UPS), was founded in Seattle in 1907 by two teenage boys. They delivered packages mostly on foot and by bike. Need quick, dependable courier service? Contact RTD Logistics here.